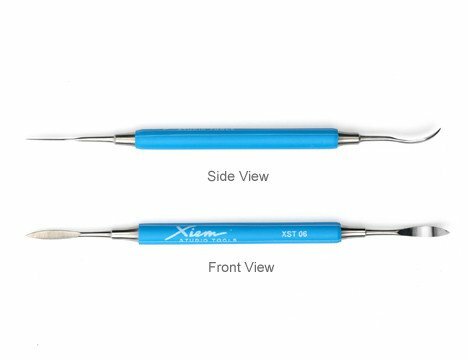 Xiem Cleanup Tools have a variety of different tips combination to accommodate many intricate cleanup jobs of slip-casting greenware seam lines and mold marks. It is also excellent for many other uses such as cutting, detailing, shaping, scraping, deepening grooves and removing imperfections. 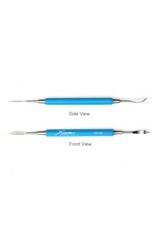 Each tool is made of high-grade hand-forged solid stainless steel and set in a rubber handle for firm gripping and comfort.